"A Short Introduction to English Usage" is a "literate" and "witty" guide to English usage, which underlies a basic problem: the fact that language changes. Lamberts' text brings to the user of English a fresh way of looking at what is termed "good" and "bad" in speaking and writing — to give a feel for usage rather than to burden with opinions about it. 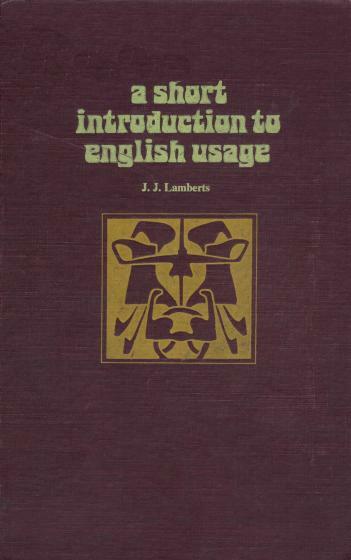 J.J. Lamberts was a professor of English in linguistics at Arizona State University. He passed away in 1992. "[Lamberts'] primary purpose is to show how differences in usage arise, and consequently the social uses to which we put them. Students can benefit from the job he has done."